Hi Wave, I was thinking about you when I post. 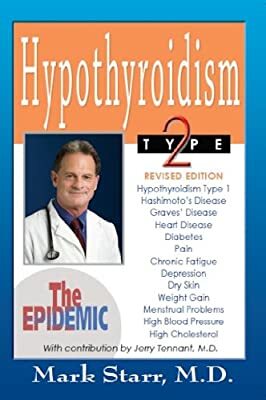 When I was a child, my family doctor suspected hypothyroidism in me. But it wasn’t overt enough the doctor only told my mom to feed me with more fish. I was suspected of iodine deficiency and was put on vitamin B complex supplement. Looking back I was much better when put on the vitamin B complex. All my life I love seaweed and I crave for salts. And I know I have issues with metabolism. I haven’t read about thyroid problems contributing to brain fog, cognitive impairments and mental disorders until recently. And I developed a lot more symptoms of hypothyroidism after receiving antipsychotics, that are difficult to explain without considering thyroid abnormality. I don’t know if they are simply progression of the problems or effects of drugs such as brominization. My emotional and cognitive impairments look very biological to me. There are no reasons to be so sensitive. I wish you could look at the list of symptoms of a thyroid dysfunction again. In some list there are 300 of them included. There are potentials to a much better management of our mental health conditions and physical conditions in this perspective. I actually find different reports of treating schizophrenics or other mental health patients efficaciously with nutritional and thyroid supplements. Positive results are noted even when the patients did not meet their lab requirements of thyroid disorder. There are medical attention on subclinical case of thyroid problems, or inadequacies in lab tests. I wish you can keep looking and find the right treatment. In my opinion, anti-depressant and anti-psychotics are not the answer. You deserve a better resolution.